The Indie MEGABOOTH is always one of my favorite areas of the PAX East show, offering the biggest band for the buck, with a large concentration of innovative and fun independent games to experience. The developers there are always excited and eager to tell you all about their games and to give aspiring new developers a word of encouragement or advice. Quite possibly the largest MEGABOOTH to date, this year’s PAX East Indie MEGABOOTH is composed of 84 developers and 88 games (most of which are PC titles) with loads of interesting and unique gaming experiences for event-goers across a wide variety of platforms, iOS and even tabletop included. The MEGABOOTH takes up the equivalent of 12 mid-sized booths, subdivided into 50 individual booths, plus one booth dedicated to the Indie MINIBOOTH and another to the Indie Tabletop booth. 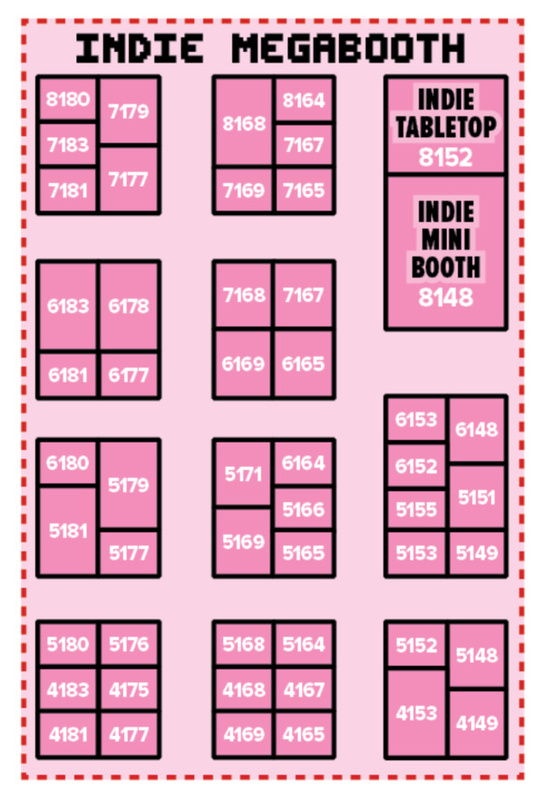 It breaks down to 58 titles in the MEGABOOTH, 20 in the MINIBOOTH and 10 in the Tabletop booth. Since AppAddict.net is an iOS-centric site, I am going to mostly focus on the iOS games available in the MEGABOOTH and MINIBOOTH, but even if you are mostly just a mobile gamer, I highly recommend setting aside AT LEAST a half day to go through the MEGABOOTH to play all of the great PC and console titles as well. We’ve gotten a number of really stellar PC ports on iOS recently, so there is always a chance that some of these titles may make their way to mobile eventually. In the Indie MEGABOOTH, I’ll be checking out some engaging looking point-and-click adventure games, a couple of which were the results of successful Kickstarter campaigns. 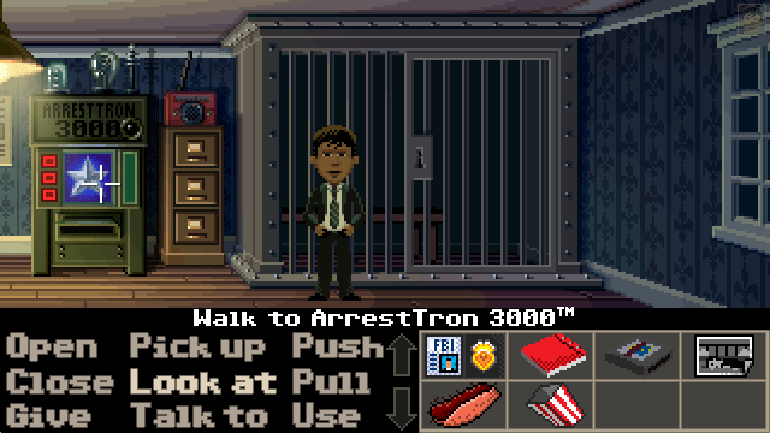 First, from the Ron Gilbert and Gary Winnick, creators of the LucasArts point and click classic Maniac Mansion—comes Thimbleweed Park. This one looks like a brilliant throwback to all the games that defined my childhood. Apparently it has that same great mix of offbeat humor, puzzles and the general ridiculousness that we’ve come to expect from this duo. Then there is Jenny LeClue – Detectivú, a beautifully illustrated game about a smart young female detective who goes on a “dangerous journey to uncover the truth” and clear her mother of murder. The adventure game genre is one that tends to port really well to iOS, so some other excellent-looking non-iOS (yet?) 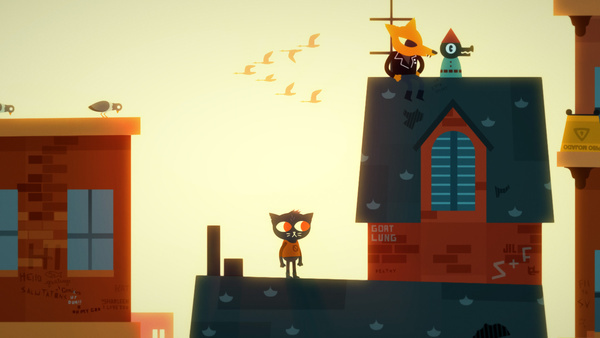 adventure games which I plan to spend some time with at the show are Infinite Fall’s Night In The Woods, the 3rd-person psychological horror game Through The Woods, a three act adventure game set in modern Florida called Knee Deep and finally, there is the tale of a strong-willed college girl detective called Kathy Rain. One non-adventure game I’ll be visiting for the third time is Tumblestone. I first saw this action puzzle game two years ago in the Indie MINIBOOTH, then last year it was a part of the PAX Indie Showcase, now it returns to the MEGABOOTH with a boatload of new content and (hopefully) a release date. Offering both a new single player story mode as well as a frenetic race-style competitive multiplayer mode this is one you’ll want to try out, even if you already have at previous years’ shows. This year, the Indie MINIBOOTH will feature a number of currently available iOS games as well as some rather neat looking upcoming titles, including this year’s GDC 2016 Big Indie Pitch winner. 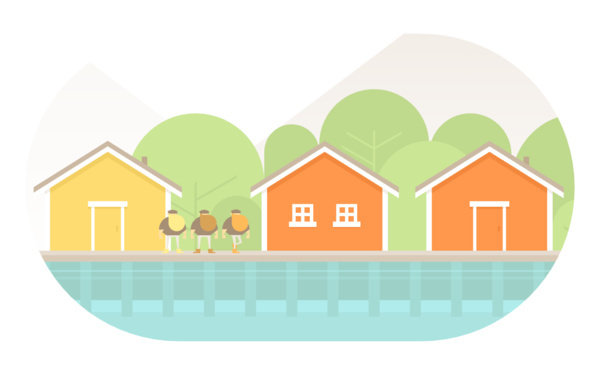 Burly Men At Sea is a neat looking folktale adventure game set in early 20th-century Scandinavia about a trio of large, bearded fishermen “who step away from the ordinary to seek adventure”. The player acts as the storyteller, “shaping the narrative around the characters through interaction with their environment”. The game comes from David and Brooke Condolora, the same husband and wife team who brought us the point-and-click adventure game Doggins at PAX East a couple of years ago. RYB. is a challenging logic puzzle game in which players are presented with a series of minimalistic shapes, made up of various segments, dots etc. They are given two or three colors (red, yellow and blue) and then must figure out how to logically fill in each segment of the shape with their appropriate colors. It can be a real head-scratcher at times, if you like brain burners then you want to stop by and give this one a go. This game is available to download now for 99¢. From developer Adiaan De Jongh, formerly of Game Oven, the studio responsible for such creative experimental games like Bounden and Fingle comes Hidden Folks. 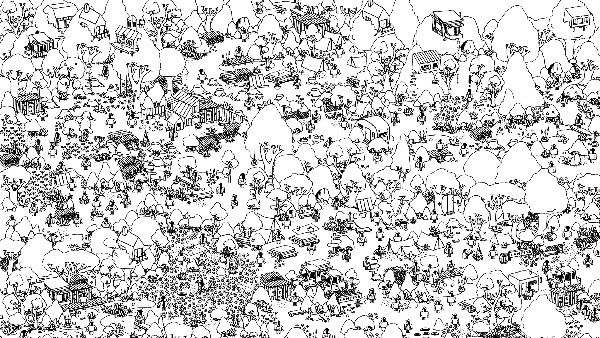 It is a Where’s Waldo inspired game where players search for hidden people and objects within gorgeously hand drawn animated, interactive environments. I have heard a lot of praise and buzz about this one following its win at this year’s GDC 2016 Big Indie Pitch and I’ll definitely be checking it out at PAX. Developer Silicon Jelly will be showing off their self-published puzzle adventure game sequel, Mimpi Dreams. Players control a cute little white dog named Mimpi using on-screen controls as well as manipulating the environment to solve puzzles and help Mimpi reach new areas as he searches for the exit and the x number of hidden bones. This family friendly title is bound to be a real crowd pleaser and offers a fun, charming experience for players of all ages. $2.99. Released on iOS in February of last year, Auro: A Monster-Bumping Adventure is turn-based tactical strategy game which uses a unique bumping mechanic for attacks. It’s a fun little game that’s worth checking out. $6.99. For a sneak peek at everything that will be at the Indie MEGABOOTH, check out the trailer below. Quite a few great iOS developers have been expanding their horizons (or in some cases returning to their roots) and will not be showing new iOS titles at the show, but games for other non-mobile platforms. 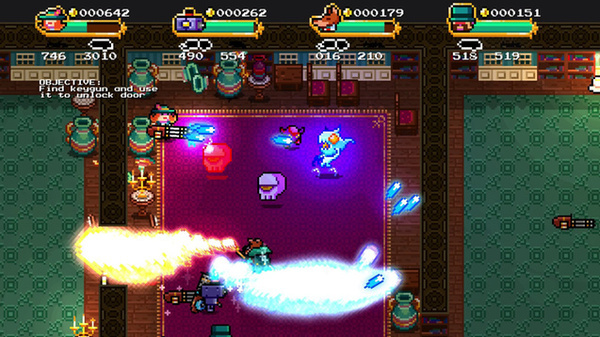 For example, Retro Dreamer, developer of such iOS classics as Sneezies, Velocispider and Linkoidz will be back at PAX East for a second year in a row (at Booth #9177) showing off their super fun (up to) four-player co-op top-down shooter game Monsters & Monocles which will be coming to PC, Mac, Linux and PS4. Their booth always drew a crown last year, so you definitely want to stop in and check this one out. Adult Swim Games who have released a number of fun offbeat iOS games will have a complete lineup of PC titles at Booth #5224, as will tinyBuild (Punch Club, Divide By Sheep, Dungelot: Shattered Lands) over in booth #5188. The Game Bakers (Squids, Combo Crew) will be debuting Furi at booth #10187. It is their “insane Franco-Japanese combat fusion” of fast-paced sword fighting and dual-stick shooting for the PC (I think). And I believe that Rocketcat Games (Hook Champ, Wayward Souls, Five Card Quest) will be in the aforementioned Indie MEGABOOTH at booth #8180, showing off Death Road to Canada, their zombie infested randomly generated road trip action-RPG. This will be releasing on Windows, Mac, and Linux at the end of May, with an iOS port planned for down the road. 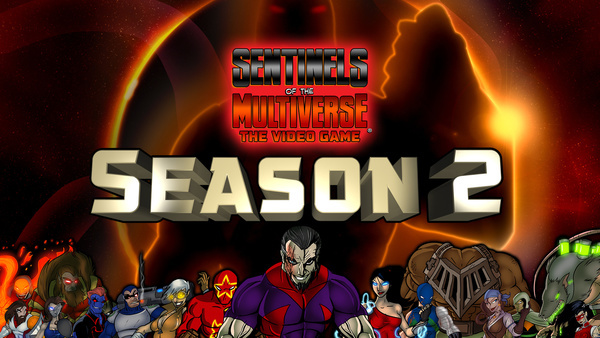 Greater Than Games and Handelabra Games, recently launched both the Wrath of the Cosmos (Season One) expansion as well as the Kickstarter campaign for their second season of content for the digital release of Sentinels of the Multiverse. They will be at booth #2180 if you want to try out the Wrath of the Cosmos content or play a game of the physical tabletop version of Sentinels. Crash of Games’ Patrick Nickell, who released a fun digital implementation of the award-winning tabletop game Yardmaster: Rule the Rails! a couple of years back, will be at the Geek Chic booth (#2164) demoing a whole bunch of fun new tabletop games that Crash of Games is publishing. So why not stop by and drool over all of the gorgeous gaming tables, say hello to Patrick (who is a super friendly and personable guy) and check out demos of all his fun new analog experiences including Backyard Builders Treehouse, Plums, Fish Frenzy and more. 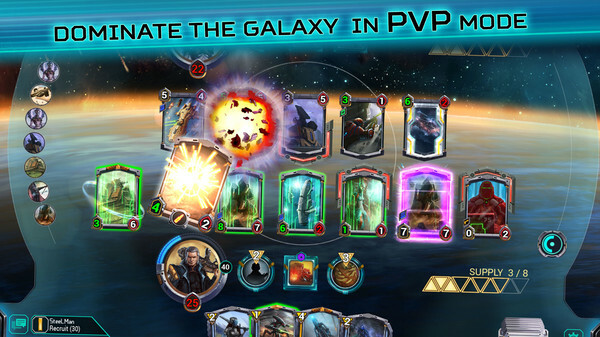 White Wizard Games, who released the digital version of their excellent space-themed deckbuilding game Star Realms will have the physical version available to play as well as last year’s strategy card game Epic. They’ll also be previewing Hero Realms, a fantasy-themed game that is an adaptation of Star Realms, which will be Kickstarting soon. There will also be at least a couple of new digital card games to try out at the show, a CCG called Star Crusade at Booth #2224 and Dire Wolf Digital’s strategy card game Eternal at Booth #3212. This rather wordy post is just the tip of the iceberg, there are many more games I have not mentioned and even more that I’ll just stumble upon during the show. Even if you are strictly a video gamer, I highly encourage you to spend some time in the tabletop area as well. One of the best aspects of PAX East is that you get exposed to so many types of gaming experiences, so why not try out some fun new tabletop games, or be one of the first to try out new prototype games in the UNPUB area.